Heat some oil on a medium high heat, we prefer lard, but whatever you normally cook with is fine. Generously season the steak with salt and pepper. Brown the meat on each side for 5-10 minutes until it develops a nice color. Remove meat from pan and add a little more oil. Add your onions and garlic, and stir them around to deglaze the pan, until they are golden brown and starting to caramelize. Add the meat back on top the onions and garlic. Add beef stock and/or water, about a quart total. Bring to a boil then put the lid on and reduce heat. 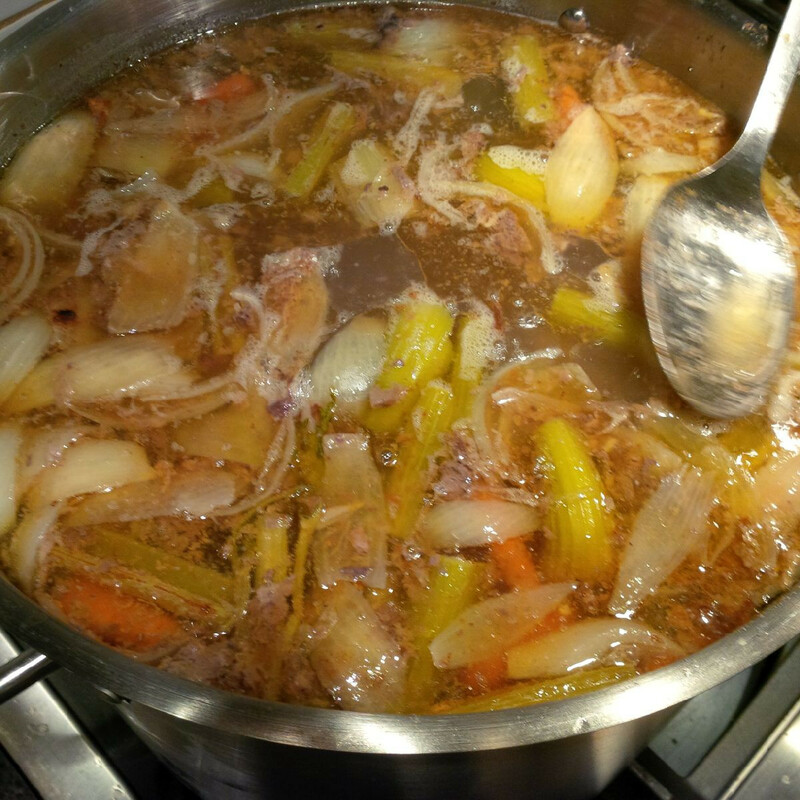 Simmer for around and hour and a half or until meat is tender. Serve over rice.